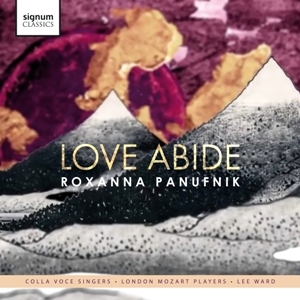 Love Abide is a CD of choral works on the Signum Classics label on the theme of spiritual love- celebrating music, texts and chants of a diversity of faiths. My ongoing mission to build musical bridges between different faiths was inspired by the birth of my first child, in 2002, when I started to ponder deeply on what kind of world I was bringing her into. Religious conflict and wars that involve it are constantly in the news – but we rarely hear enough about the affirmative aspects of our many faiths, such as the phenomenal beauty of the varied cultures surrounding them. Exploring these cultures has unearthed a bounty of stunning chant and verse and has brought me closer to my own personal spiritual beliefs. Each work on this CD focuses on a particular mood or sentiment around the theme of love, expressed in a musical language that echoes the origin of the words. I’ve drawn on texts from different faiths, from the 15th century Zen Master Ikkyū Sōyun to the well-loved13th chapter of 1 Corinthians; from the Christian mass setting to the 14th Century Sufi poet and mystic Rumi, to the ancient Hebrew Psalm 136(135). 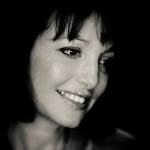 And I’ve married a traditional Anglican text with a Catholic one – creating a truly Ecumenical Magnificat. Within the music you will hear fragments of Spanish Sephardic chant, Christian plainsong, Sufi rhythms and a Japanese lullaby, to soothe the soul.